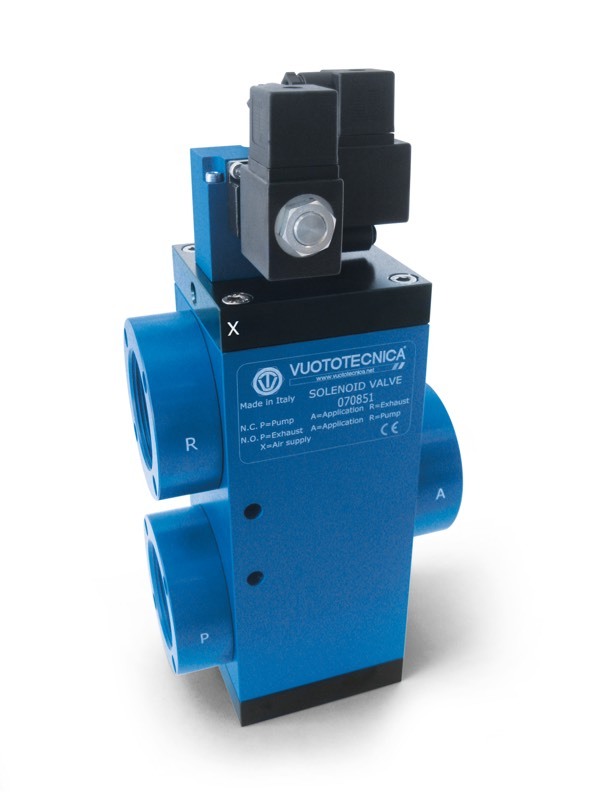 The innovative construction technology of these solenoid valves and their conformation are the same as those previously described. What differentiates them are the two simple electrical impulse coils that exchange the shutter positions and keep them in position until the next impulse even in absence of compressed air at the servo control and of electric current. 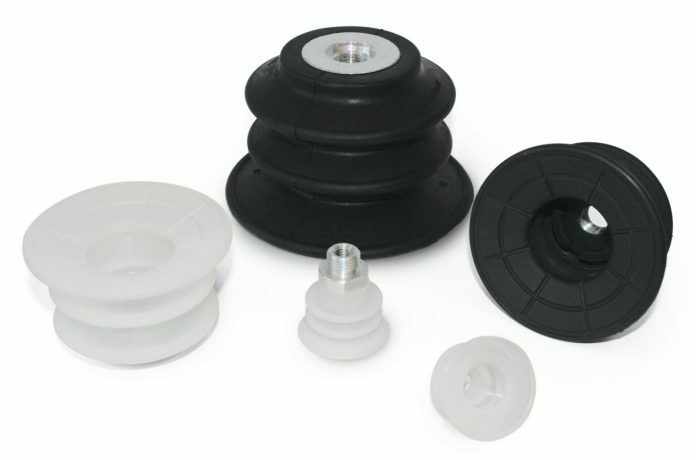 This is the reason why their use is especially recommended in all those cases requiring maximum connection security at the vacuum source, even in the absence of electrical and pneumatic power supply. The vacuum generators of this new series can fully drive a negative pressure gripping system. By means of coaxial shutters, the original compressed air supply system feeds large quantities of air to both the ejectors and the ejection system, thereby ensuring faster gripping and release of the load. These vacuum generators are equipped with single-stage ejectors, are powered by low pressure (max. 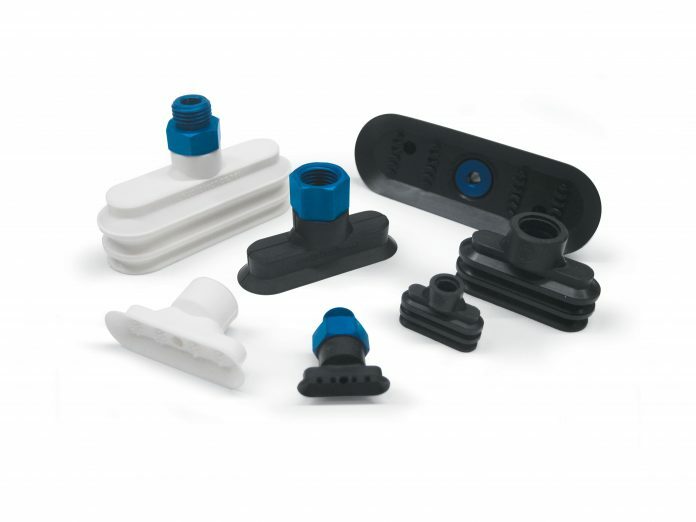 4 bar), and feature an extremely high emptying speed in relation to their suction capacity. All this allows for increasingly faster high-performance work cycles. 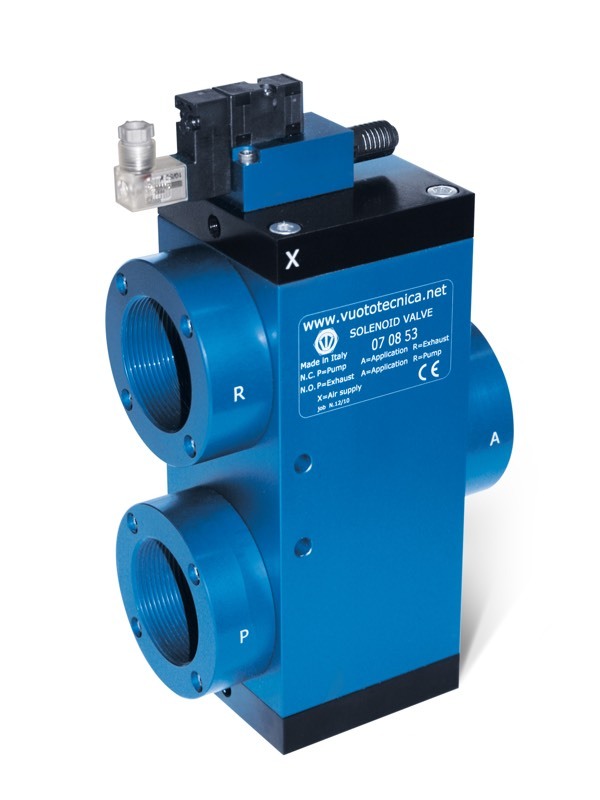 Two micro solenoid valves manage the compressed air supply to the vacuum ejector and adjustable discharge blow off. 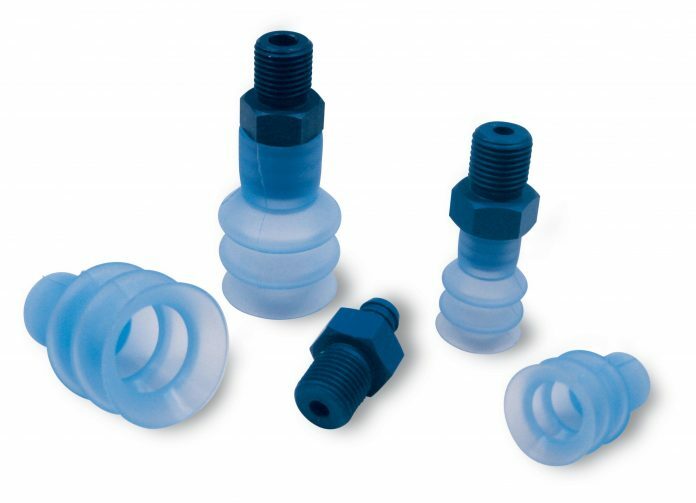 The intensity and duration of the latter are managed through a screw-type flow regulator.